Luxury used car at the price of a brand new model? Deal or no-deal. Everyone aspires to own a classic set of wheels while cruising downtown with an equally attractive partner in the passenger seat. It’s no wonder that luxury cars are referred to as ‘aspirational Cars’. They aren’t just aspirational for their style and make but also for their price-tag. Purchasing a new one easily sets you a class apart. If you’re not one to care about class, but are especially interested in the car then you may have considered buying it second-hand. A brand new, factory-fresh, mid-tier model Hyundai Elantra that saves you roughly INR 2 Lakh on your budget and comes packed with all the latest gadgets and add-ons within the price bracket. You can use the amount you save for additional features or insurance, based on your preference. A Jaguar XF Diesel S Premium Luxury 2012 Model that’s in pristine condition with its second owner and has run no more than 42,000 Kms, complete with the beast on the bonnet. It could be yours for an additional INR 1 Lakh over your current budget. Which one would you choose? The Virgin Belle or the Seasoned Beast? Let’s take a closer look on your options. • Low maintenance – New Cars don’t need much more than an oil change and basic service until the first few thousand kilometres. • Lacks ‘Oomph’ – For all its bells and whistles, it will still be considered as an economy car and not a luxury class automotive. • The ‘Oomph’ factor – Higher attention to detail, like elm wood furnishing and much better styling. • Stand-in car during service – Of the simpler perks, brand dealership loyalty during the time of service will avail you loaner access i.e. you will be given a company car to drive until your car is fixed. • Little or no warranty: Used luxury cars either come with limited time to warranty or none at all. • More maintenance: The older and more travelled the luxury car, the more number of maintenance runs. • More expensive repairs: Parts and labor for luxury cars are costly, mainly because of brand leverage but also for their higher quality of make and service. • May not have all the options: The bells and whistles vary from seller to seller since they had first pick from the manufacturer stock options. • Old technology: Unless it is an absolute classic, most used luxury car owners find that every-day tech like navigation systems and smart-phone compatibility is usually outdated. • Less efficient: fuel economy is inversely related to engine power. There’s also the need for premium fuel. How you choose now depends on your preference. 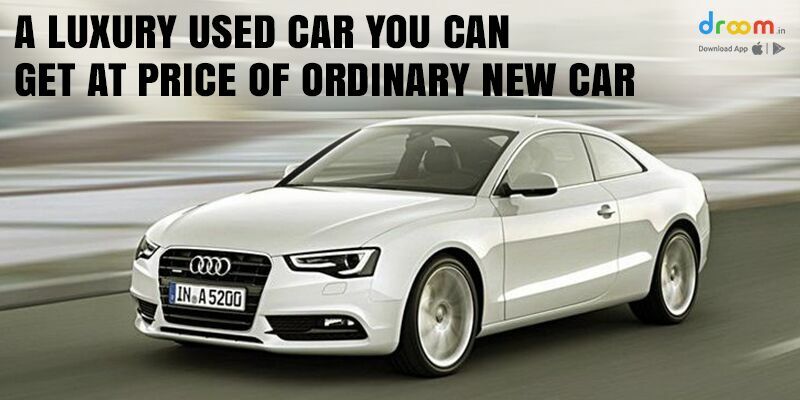 If you’re willing to compensate over certain costs for the ‘WOW’ factor of luxury cars then opting for a used one is definitely the right choice. For a more updated, economically convenient choice, a new car works best. Which is the Best Value-for-Money Hatchback Car in India?